Imagine you are walking through a forest and hear the rustling of leaves and an ominous crack of a branch behind you. You freeze, listening hard to figure out what is back there. You turn slowly and see a bear staring at you, ready to attack. Your heart is racing and you are rigid with fear. You have three choices: stay frozen, run, or turn and fight. 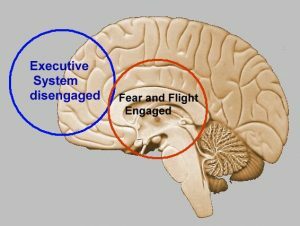 Fear is one of the most powerful emotions we experience and has wide-ranging effects on physiology, emotions, moods, attitudes, cognitions, and behaviors. When humans detect a threat, the signals go to a part of the brain called the amygdala that handles emotional processing. The amygdala sends signals to the hypothalamus, which signals the adrenal glands to release hormones such as epinephrine (adrenaline) and cortisol. The body instantly responds with physical changes, all preparing the body to quickly retreat or attack. This process happens at a biochemical level that we are unaware of, yet is so powerful it allows us to instantly jump out of the way of a runaway car. The human body was not meant to stay in this hyper-vigilant mode for more than a few minutes. It is physically, emotionally and mentally exhausting to stay in this mode for hours or even years at a time, yet many people do. For those who are chronically worried, it can spiral into worse and worse anxiety. Our brains are designed to be sensitive to things that may harm us and so we tend to over-estimate dangers (the negativity bias). Fearful people are more alert to the possibility of danger or threat (“hyper-vigilance”). Reactions may be inappropriate to the threat, such as bleaching your countertops five times a day to kill germs or worrying about thunderstorms on a sunny day. The hormonal responses triggered by fear also heighten the emotions. When you feel threatened, your emotions will be on high alert and can easily be hijacked. If you have ever been in a car accident, you may recall the sensation of your heart pounding and palms getting clammy. You may have been quick to anger – did you want to yell at the other driver even if the accident was your fault? Later, you may have felt shaky and tearful as the stress hormones decreased in your nervous system. You may not have realized you were at the mercy of a primal survival reaction. While a survival response is a helpful skill when jumped by a tiger, it is also turned on when a person is threatened emotionally or socially. 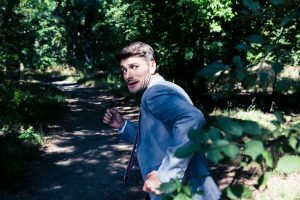 Because the threat response system is designed for survival, it is our default response, meaning we easily and quickly are triggered by fears and may react unthinkingly. As a result, fear, acted out as anger or withdrawing, may be your unthinking reaction is emotionally charged situations. Fear, a survival response, restricts our abilities to think, to be observant of others, and to act in pro-social ways, such as be empathic. Fear for self-safety interferes with our ability to be compassionate for others. When we are chronically afraid, we spend our emotional and mental energy on self-protection, such as lashing out in “fight” response, retreating in “flight” response, or becoming passive in “freeze” response. When we are reacting with survival responses we are not capable of being caring or empathic — even toward ourselves. The threat response decreases our ability to notice things that are not important to survival. It also speeds up cognitions (racing thoughts) and physiology (racing heart rate). However, slowing down and being present are how humans are able to notice the emotional states of others — or themselves. He may also then lack the ability to be responsive and empathic. This lack of attunement, responsiveness, and empathy leads to a lack of emotional connection in relationships, especially those with partners and children. Emotional disconnection or loss of attachment then triggers further fear, shame, and self-protective responses. The threat response also increases our tendency to experience shame. When our limbic system is activated we tend to take things very personally and feel attacked. So when we perceive rejection or invalidation we use our “fight-or-flight” system, not our higher, more objective and reflective regions of the brain to appraise the situation. An understanding of the threat response can provide a way to reframe how we look at “mental disorders” that is more helpful than traditional psychiatry’s way of “diagnosing.” Even problems labeled as “Generalized Anxiety Disorder” and “Major Depressive Disorder” can be understood as being influenced by the threat response in the following way. The fear response is generally self-regulating, ready to respond to a potential threat and then backed down once the threat is lifted. When someone is constantly experiencing emotional stress, such as self-shaming or a fear of judgment or rejection, the stress response system never gets turned off and the person never relaxes. However, our bodies and minds are not designed to stay in an “alert” mode for an extended period of time. Chronic low levels of being “on-guard”, usually to emotional or social threats, leads to symptoms that could be considered “Generalized Anxiety Disorder”. Chronic stress depletes hormones called endorphins and dopamine, which can affect our ability to experience pleasure, prevent pain, and maintain good mood. Fear causes chronically high levels of a chemical called cortisol in the body. Cortisol reduces the volume of a part of the brain (hippocampus) and can contribute to depression. Minor setbacks can feel like major obstacles and experiences of both pain and misery are heightened. Previously enjoyed activities will no longer provide pleasure. Patients with depressive symptoms also have high anxiety, which has confused many researchers and clinicians because the DSM-5 labels these as two distinct “disorders.” However, it is clear when reframed with an understanding of the fear response that depressed people have been chronically triggered by emotional threats, especially internal messages of shame (“I am unworthy and unlovable.”). An emotionally stressed out person does not get the physical release that normally occurs after escaping a predator. Chronic exposure to both the emotion of shame and the physiological aspects of fear eventually leads to the body and brain being overwhelmed by fear response neurochemicals and hormones. The person gives up “fighting” or “fleeing.” The result is the “fold” response with symptoms of fatigue, helplessness, and hopelessness. Depressive people come to believe they are unable to “fix” themselves through self-criticism, so they will forever be unlovable and unacceptable to others. 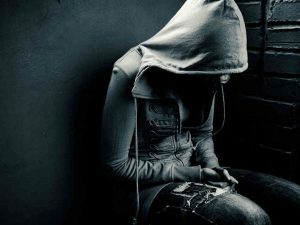 This experience of feeling unworthy and being rejected by others results in depressive behaviors of isolation, lack of motivation, and suicidal thoughts. Conditions such as anxiety, mania, or ADHD are examples of hyper-vigilance to and over-reactivity to threat. They tend to see fearful situations where none exist or escalate a small fear into a bigger or longer-lasting fear. The body and mind are adapting to threatening situations with fear and the resulting panic and “fight-or-flight” response. Conditions such as depression and the depressive stage of bi-polar disorders are examples of under-reactivity to threat and over-regulation of emotions, often as a result of chronic exposure to external threat or internal threats of self-shaming messages. I believe that self-acceptance is the key to reducing fear: It is not possible to feel safe with yourself if you loathe yourself. It is essential to stop automatically generating self-critical responses and unthinkingly reacting to them with fear. Finding compassionate acceptance for oneself is the first step to loving oneself and others, and feeling emotionally safe.